For those ‘Modern Family’ fanatics of yours, the holiday is the perfect time to surprise your loved one with a great new game to complement the hysterical show. Players test their trivia knowledge of the hit series and the three intertwined families. As they move around the board, there are five types of special spaces to land on with each one having a corresponding deck of cards including: Parenting, Family, Modern, Interview and Event cards. By selecting the cards, players may be asked to answer trivia questions, play out a charade and discuss interview topics and family events. By completing the action on the cards, players receive tokens. Once your team has collected all 30 tokens, you must get your mover home. The player to visit each household and get back to their TV viewing couch first wins! 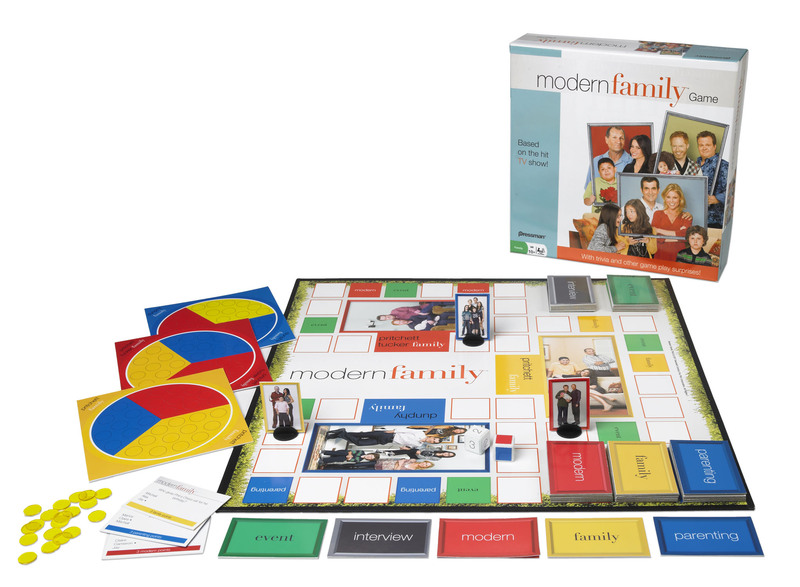 The ‘Modern Family’ Game is manufactured by Pressman Toy Corporation.